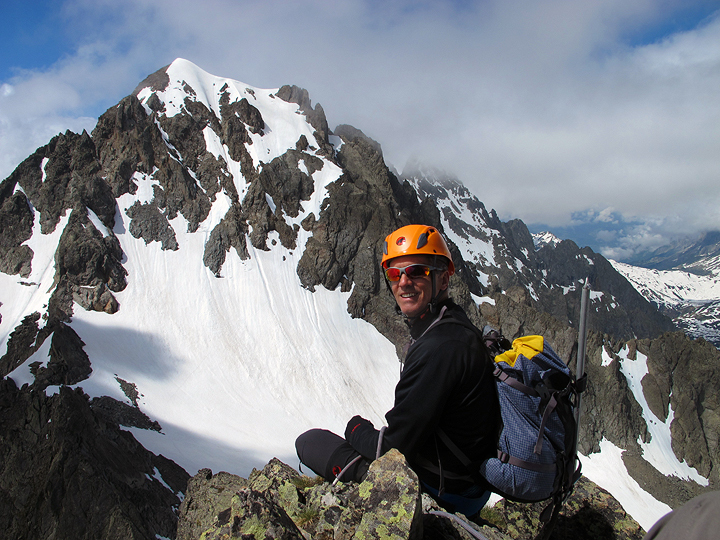 Originally hoping for two days of climbing, Graham made the quite reasonable drive over from his home in Switzerland. 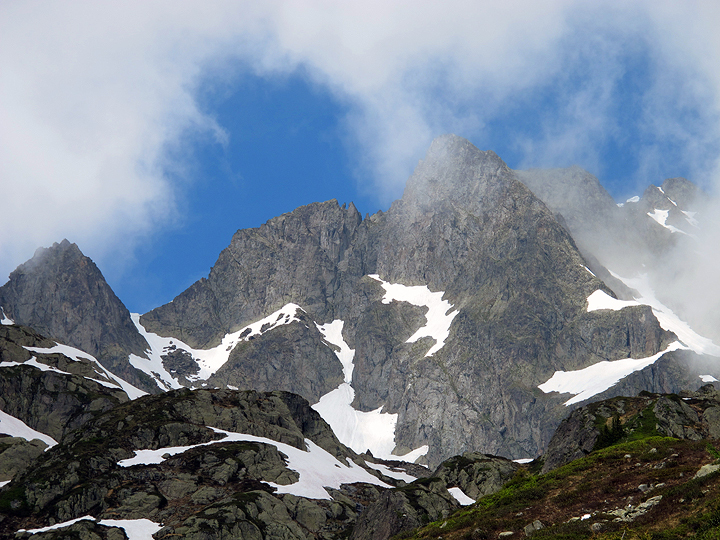 Unfortunately due to no-so-clement weather, we only had one day to play in the mountains. 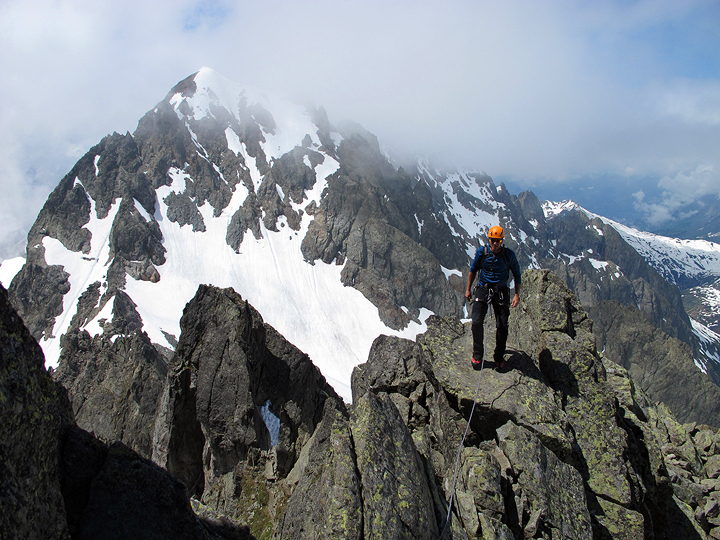 We chose the Traverse of the Aiguilles Crochues, in the Aiguilles Rouges. It was a busy day on the Crochues. Fortunately for us, the weather was fine and we were not in a great rush, so waiting here and there was no problem. Quite a few other climbers heading over to "our" climb. From the low notch in the ridge on the left, we climb up the rocky skyline to the summit, which is just right of center. 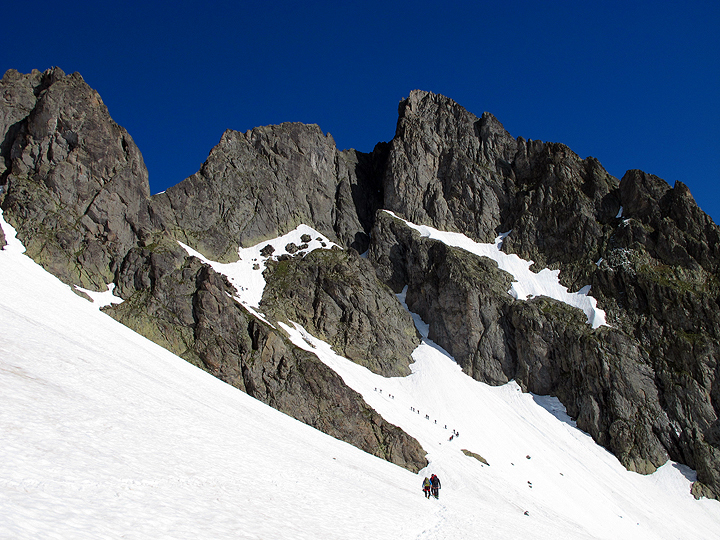 A very snowy upper gully. Normally, this is all rock. 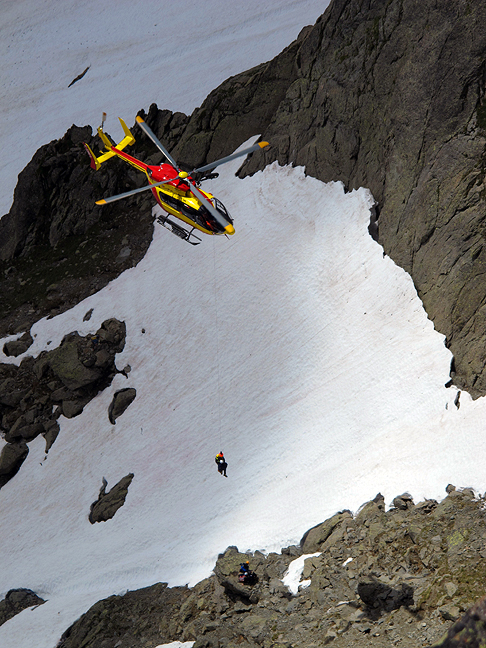 Unfortunately, there were a couple accidents, only minutes apart, and only a few meters from one another – roped climbers falling down the moderately steep snow slope. We don't think the injuries were especially serious, but they did get air-lifted down to the valley. 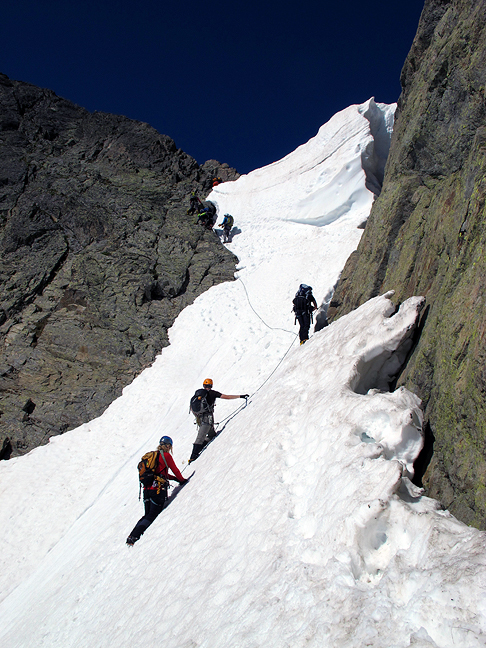 This photo, taken on the descent shows the peak and the route (roll your mouse over to see the route up). The accidents occurred on the snow slope just below the notch on the left. Higher on the climb, almost to the summit. 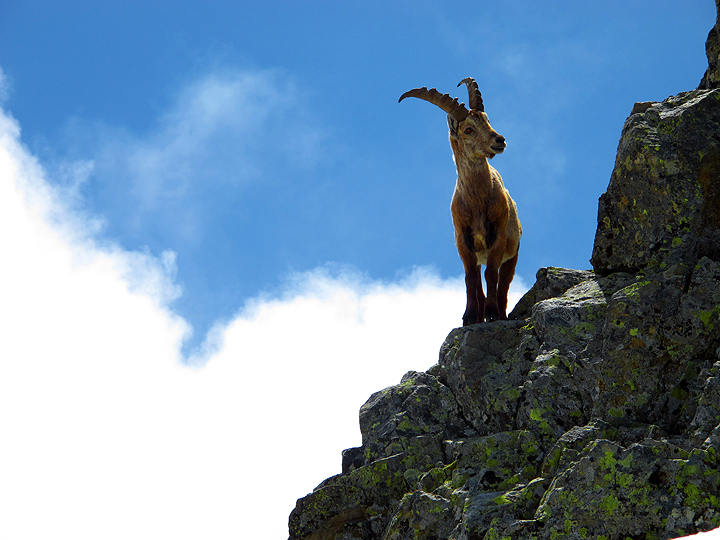 It is almost rare to do a climb in the Aiguilles Rouges without seeing an ibex. 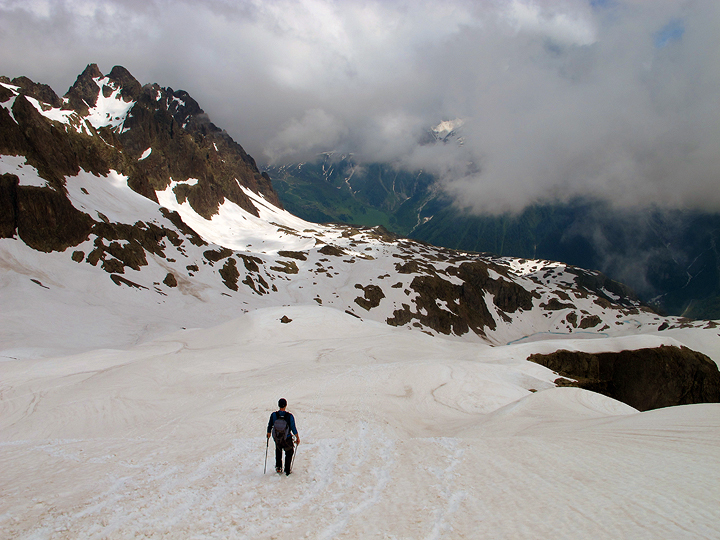 The descent to Lac Blanc and then down to the Flegere lift was very quick and easy because of all the snow.